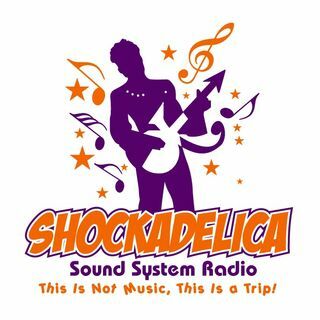 Inspired by Prince, Shockadelica Sound System Radio is home to The Soul Brother Show, The De La Soul Sister Show, Soul Sanctuary, and VegOut! Hosted by Georgette, the De La Soul Sister Show talks about everything from life and beauty to music and good vibes! The Soul Brother Show, the Home of Heavy Soul and Raw Funk, has been grooving and moving the masses since 2012. Hosted by Mr. Chris, a music enthusiast with over 20 years of broadcasting experience, this podcast specializes in a plethora of great music ranging from music masters such as Living Colour, Prince, Betty Davis, and Jimi ... Maggiori informazioni Hendrix to contemporary artists like D'Angelo, Monique Bingham, Joi, and Raphael Saddiq to name a few. The Soul Brother Show also features in-depth interviews with artists such as CeCe Peniston, Nona Hendryx, Cody ChesnuTT, Terry Ellis (En Vogue), and Steve Arrington (Slave). Tune in because you never know who or what you might hear on The Soul Brother Show and best believe it will be a listening experience that you will enjoy and appreciate.